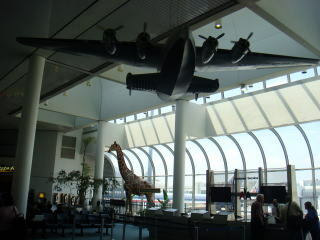 (L) The interior of American Airline. 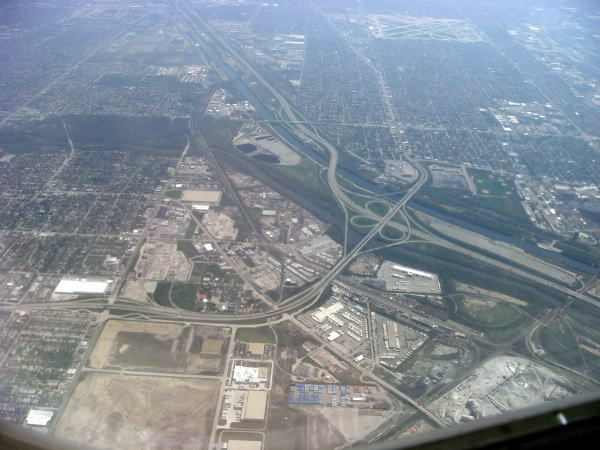 (R) The aircraft is leaving Chicago heading south to Miami. we saw the board Atlantic Ocean spread over the rich granary field. 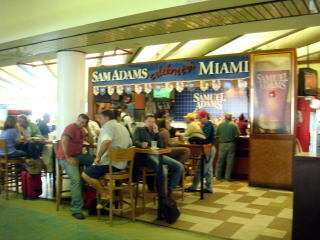 In arriving in Miami airport, we felt the impression mixed with warmness and vulgarity, just visiting a country side. 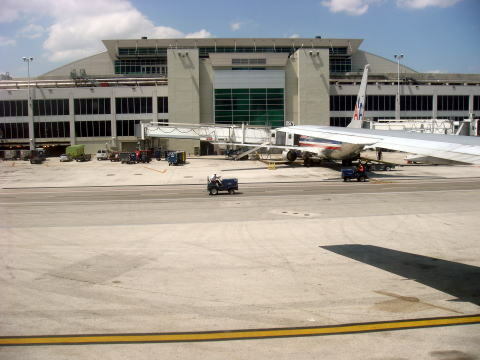 airport facilities in the United States. 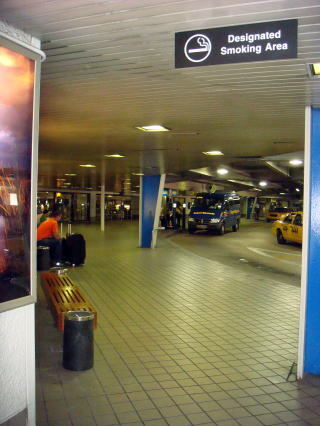 The fact is well accepted from oversea travellers and domestic residents. 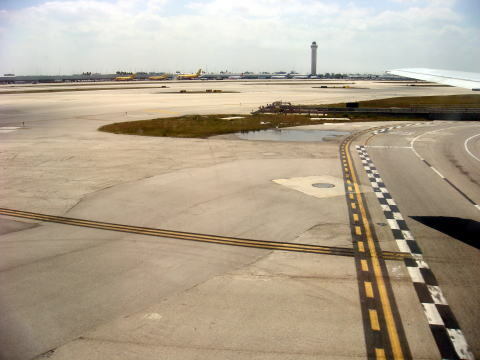 The Miami International Airport is rather boorish, but somewhat heart-warming. (R) A total smoking ban applied in all eating places. 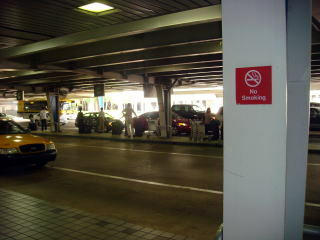 (L) No smoking sign at the entrance to the air terminal buildings. 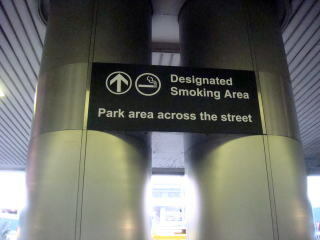 There is no such warning sign inside of the terminal..
(R) The sign board shows the direction to the designated smoking. 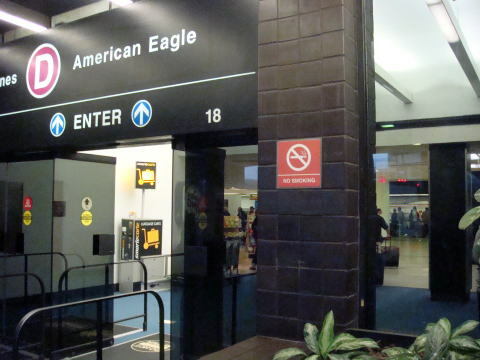 (L) A smoking area is provided far from the entrance to the airport. Only one passenger was smoking. (R) No smoking in the porch of the terminal. No smoking sign plate on the pillar of loading and unloading zone. 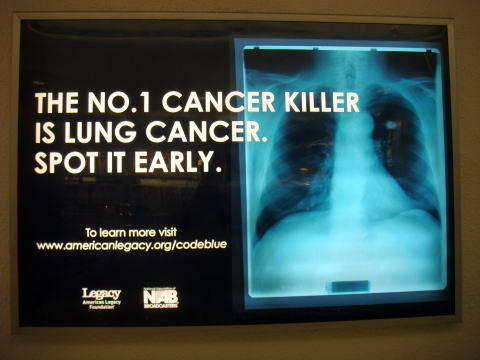 The warning sign board for lung cancer using an X-ray film. lounges that meet certain tests for ventilation. any other workplaces. Furthermore, allowed in retail tobacco shops, designated guest rooms at hotels. 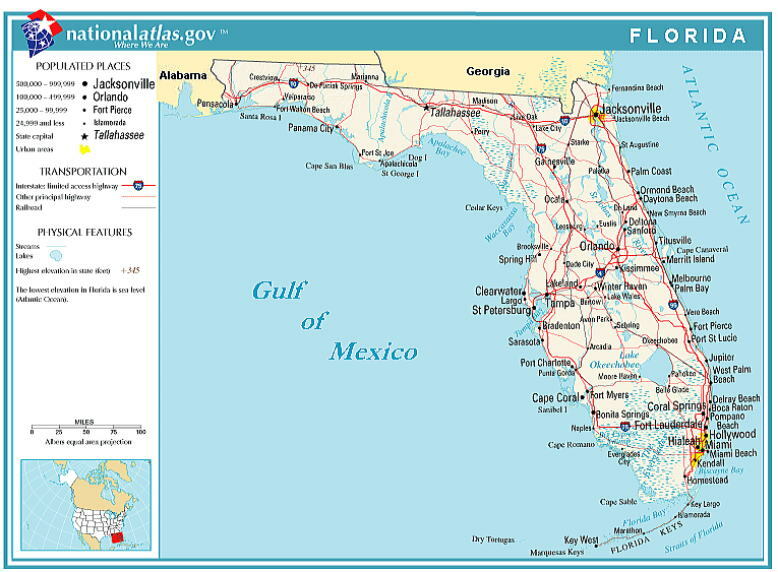 (Florida State 2003 smoking ban). Smoking Ban in the Ｍassachusetts state. Smoking Ban in Washington, D.C. The photographs were taken and the article was written in May 2008, by Junhaku Miyamoto, M.D., PhD.